Spurred by teacher activism nationwide, Denver educators are challenging one of the nation's oldest incentive pay systems – a practice they say creates competition within schools and does not..
Denver Post reporter Elizabeth Hernandez sits down to talk about her experiences covering the Denver teachers strike and the marathon bargaining sessions that surrounded it. 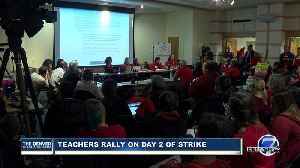 The Latest on the Denver teachers strike (all times local): 7:45 a.m. 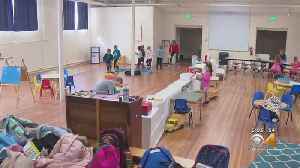 The strike, which cost Denver Public Schools about $400,000 per day, came to an end early Thursday. 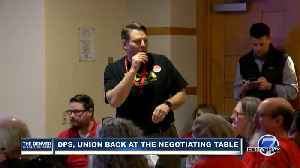 Negotiators from DPS and the Denver Classroom Teachers Association negotiated into the early morning hours Thursday and were pushing for a strike-ending deal. 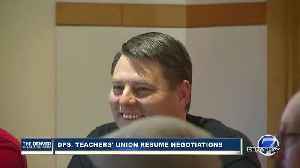 Negotiations between Denver school administrators and the teachers union picked back up Wednesday morning less than 12 hours after the conclusion of a marathon session that ended in an agreement -- to.. 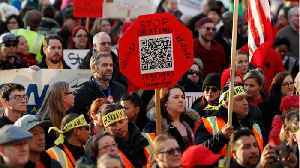 The union representing striking Denver teachers and school officials said Wednesday they were hopeful they can reach a settlement to end a three-day walkout. 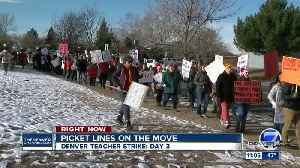 The Latest on the Denver teachers' strike (all times local): 9:30 a.m. 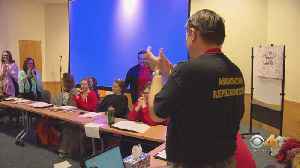 Negotiators from DPS and the Denver Classroom Teachers Association negotiated late into the night Tuesday before ultimately deciding to call it a night and meet again Wednesday at 10 a.m.
Denver teacher’s daughter protested with her mom 25 years ago. Now daughter is the teacher, and mom is protesting with her. 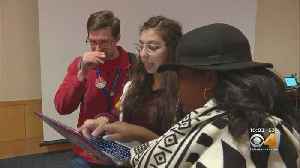 Letty Gonzales was a high school junior when she joined her mother on the picket line during the 1994 Denver teachers strike. 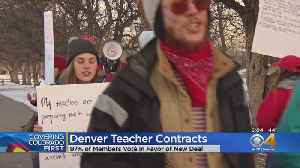 Now the daughter is a teacher at Traylor Academy and they're both striking..
Public school teachers in Denver are expected to return to the bargaining table Tuesday amid their first strike in 25 years. 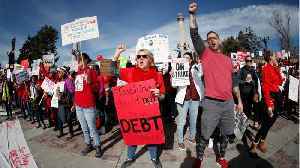 Colorado is the seventh state where teachers have walked off the job in the..
Elizabeth Warren and Bernie Sanders endorsed the Denver teachers strike, putting it in the national political spotlight. 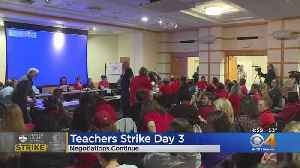 Negotiators from Denver Public Schools and the Denver Classroom Teachers Association are scheduled to resume talks at 10 a.m. Tuesday — the second day of the teachers strike. 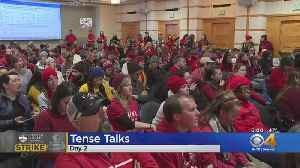 Denver's first teachers strike since 1994 enters its second day Tuesday with negotiators from the teachers union and school district scheduled to go back to the bargaining table for the first time.. 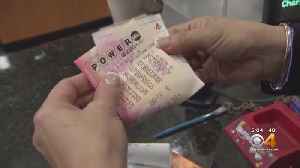 Lawmakers hope to avoid another government shutdown, Denver teachers' strike resumes and more things to start your Tuesday morning. 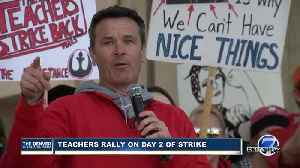 Denver teachers, students and supporters rallied at the state Capitol on the first day of the Denver teachers strike Monday. 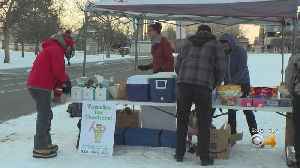 Although more tax dollars are derived from marijuana sold within Denver’s city limits than in any other place in Colorado, very little of it actually makes its way into classrooms there or anywhere.. 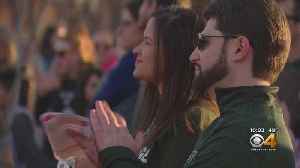 Here are the top stories for Monday, February 11th: White House refuses to rule out possibility of another government shutdown; Illinois AG wants new sentence for Jason Van Dyke; Denver teachers strike..
Denver teachers began a strike Monday after more than a year of contract negotiations with the school district. 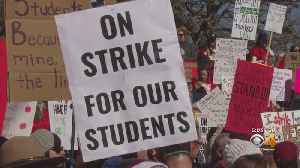 This strike comes just weeks after a teacher strike in Los Angeles that lasted six days. 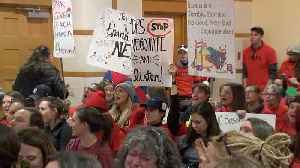 This gallery presents photos submitted by Denver teachers, students and members of the community as educators at Denver's 160 public schools initiated the city's first teachers strike in 25 years. 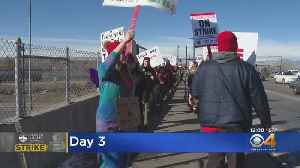 Educators at Denver's 160 public schools initiated the city's first teachers strike in 25 years Monday morning, picketing outside schools before a planned rally at the Colorado State Capitol Monday..